AmpliFi Instant, released on Tuesday, is a two-unit set consisting of a main router and a mesh access point. Both devices are identical in size and share a lot in looks. The units are short, rectangular and have a matte white finish with rounded edges and corners. Around the bottom perimeter is a soft white light ring that is adjustable in the AmpliFi app for on, off, or off at hours during the night, a nice option if you position it in a highly visible area and don't want the light keeping you up. Where the two units differ is the router has a small monochrome display, a WAN gigabit port and one LAN gigabit port. 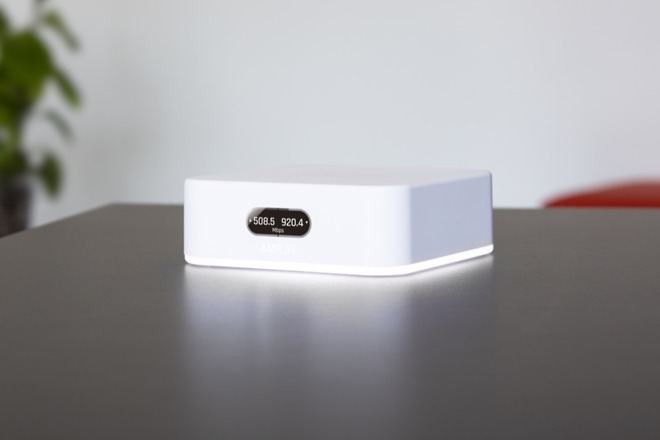 The mesh point has no display and has one gigabit port that can be used either to give signal to a wired device or connect to an Ethernet line back to the router for backhaul between the two units. We tried the setup in a house that has known signal issues. The homeowner has tried to solve their problems by adding a second access point upstairs, but there are still dead spots. Those dead spots were eliminated with AmpliFi Instant, which delivered strong signal throughout the building. 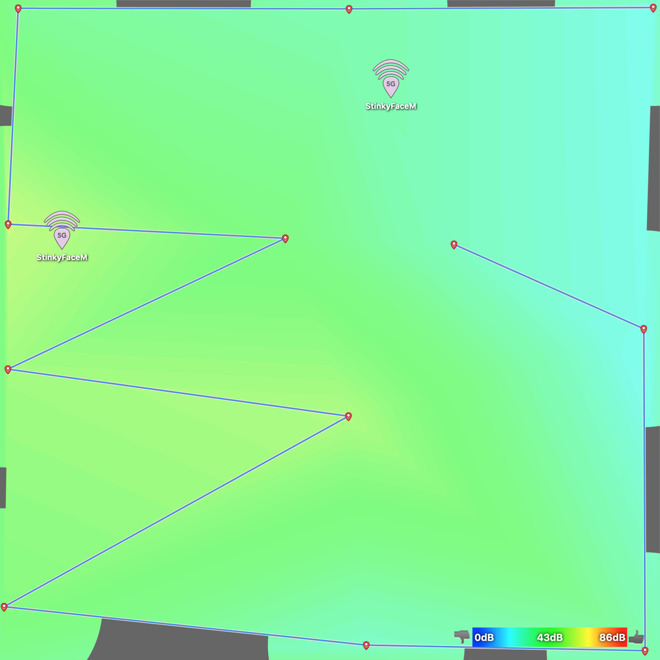 The blue areas are where signal isn't strong enough. Here, Amplifi Instant has solved the signal problems. A series of speed tests showed that Wi-Fi was fast, in the 420Mbps range down, reliably on AT&T fiber. However, upload speeds on AT&T fiber averaged at about 358Mbps. When using the prior access points, that speed was closer to a symmetric 426Mbps. 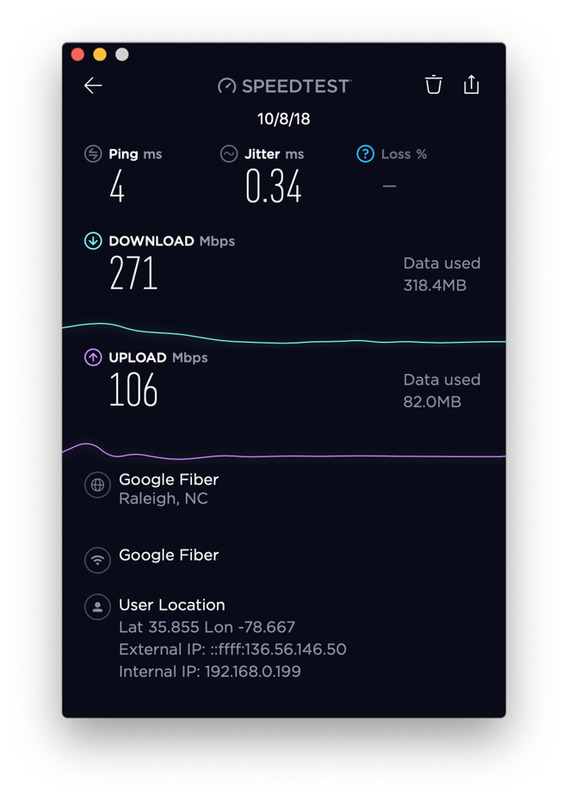 In testing in a home with Google Fiber, similar asymmetric results appeared. It was possible to get 318Mbps down, but upload was limited to about 120Mbps. When using routers made by other manufacturers, we regularly attained symmetric 500mbps over Wi-Fi, which is about as good as can be expected. One of the changes to this AmpliFi series, which uses the same firmware as an earlier product, is that it has some features for advanced users. First, it's possible to set the range issued for DHCP (LAN addresses). Another unique feature is the capability of tagging the WAN port with a VLAN, which is helpful if your ISP requires it to use VLAN tagging instead of their router-network-box. Unfortunately, in order to make the connection perform as fast as it should with ISPs that require VLAN tagging, you have to set Quality of Service (QoS) for the WAN port to normal priority, something AmpliFi has not done. This is one of those situations where something was almost perfect, and is more disappointing than if it hadn't tried instead of coming close and failing to go all the way. Also good is the ability to assign devices to static reserved IP addresses. It doesn't allow you to configure what DNS server to use on the LAN, only the WAN side, so if you were running a DNS server as an Adblock, that wouldn't work here. But otherwise, all the complex options are present. On top of this, all devices appear in a tab called "Family," which is used for pausing internet connectivity. Users can pause devices individually, effective immediately, or create profiles for devices with hourly schedules set by day of week. Besides the two-unit kit, it's possible to buy just the router and use it as a mesh point to extend an existing network. This function works brilliantly. In the old days, you'd have to use WDS sharing, which was absurd. 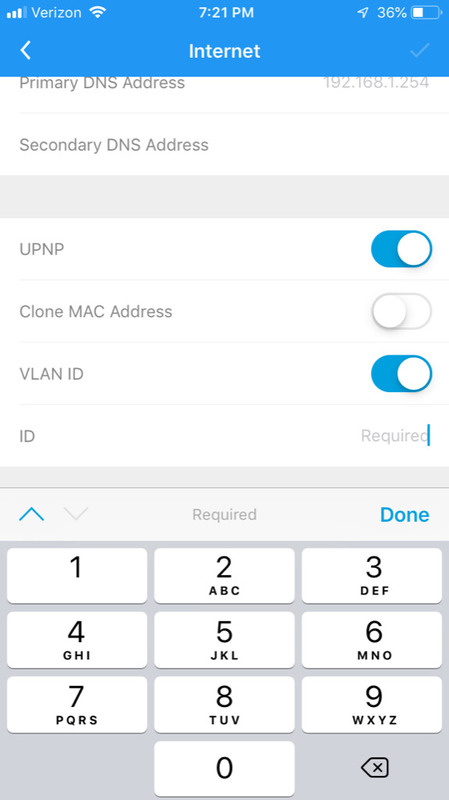 AmpliFi's method of network extension works as well or better than Apple's means. 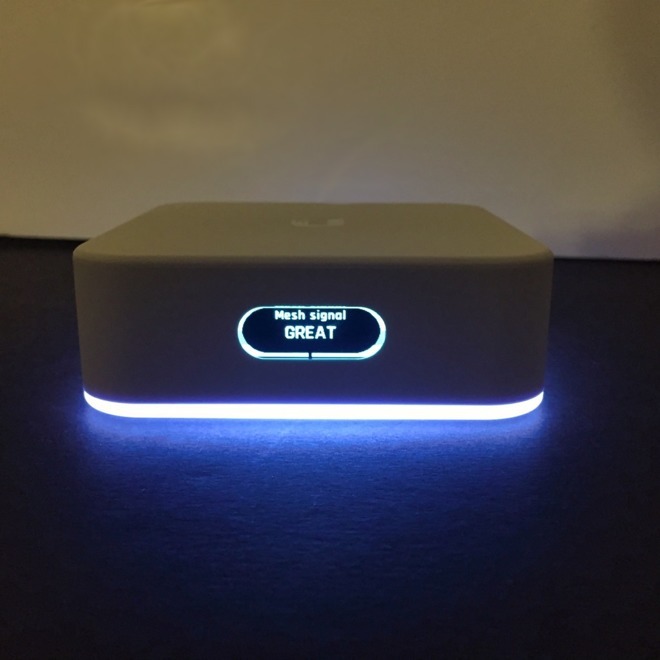 We paired the AmpliFi Instant Router acting as a mesh node with a Synology RT2600AC as the main router, and coverage was excellent. There are two radios, 2.4 and 5Ghz, as opposed to having three radios, and using one as dedicated for backhaul. The backhaul between units is either wired Ethernet or wireless. 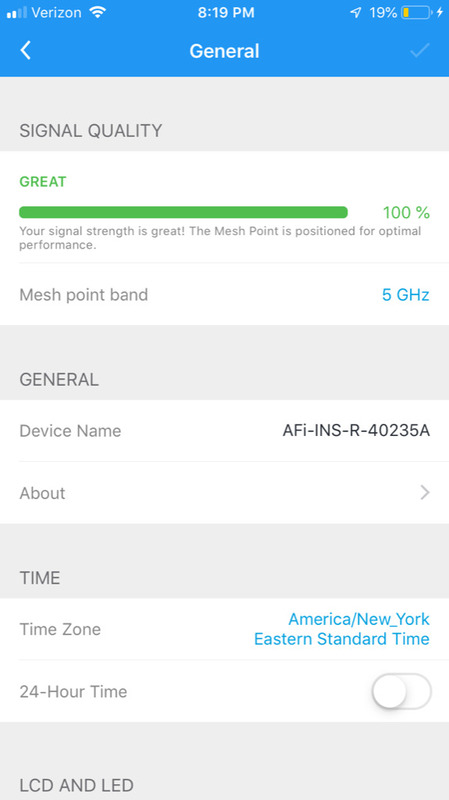 The default is to use the 5Ghz band for backhaul to the main unit, which means client devices associated with the mesh point will get slower 2.4Ghz bandwidth data. 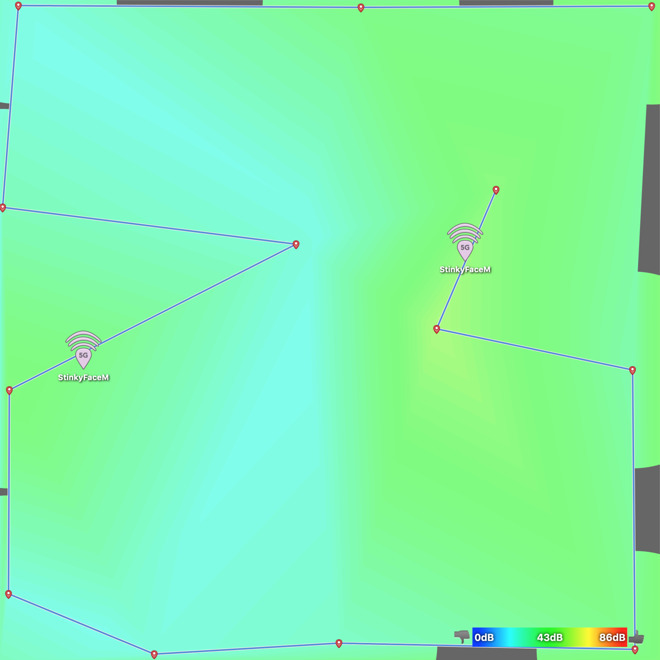 Ideally, you'd have two 5Ghz radios and a 2.4Ghz, so that one 5Ghz could be used for backhaul communication to the main router and still deliver 5Ghz to clients. That would also be more expensive. Using the single router unit to test speeds, eliminating any weak links in wireless backhaul, download was less than expected, and upload was much less than expected. Remote access still seems to be limited to Google or Facebook accounts, something we noted as less than desirable in our previous experiences with AmpliFi products. AmpliFi has accomplished quite a lot here. 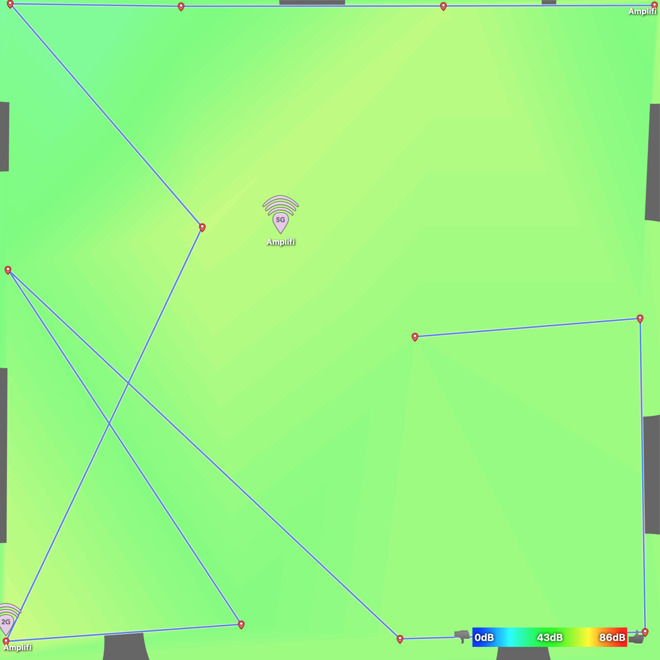 It has made a fast-to-setup Wi-Fi mesh network that is pretty robust and has a number of complex options built-in, but nicely hidden so as not to scare people who just want to get Wi-Fi working fast. 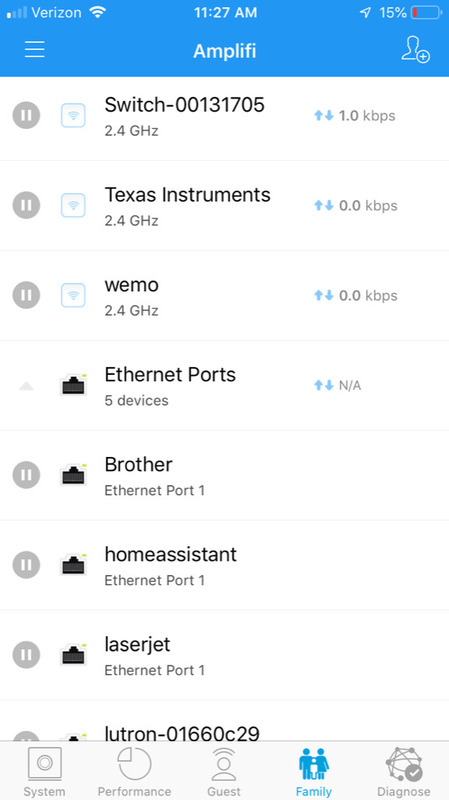 It has some decent parental blocking, but not filtering, and makes it easy to set up a mesh network or extend an existing network with an additional mesh node. 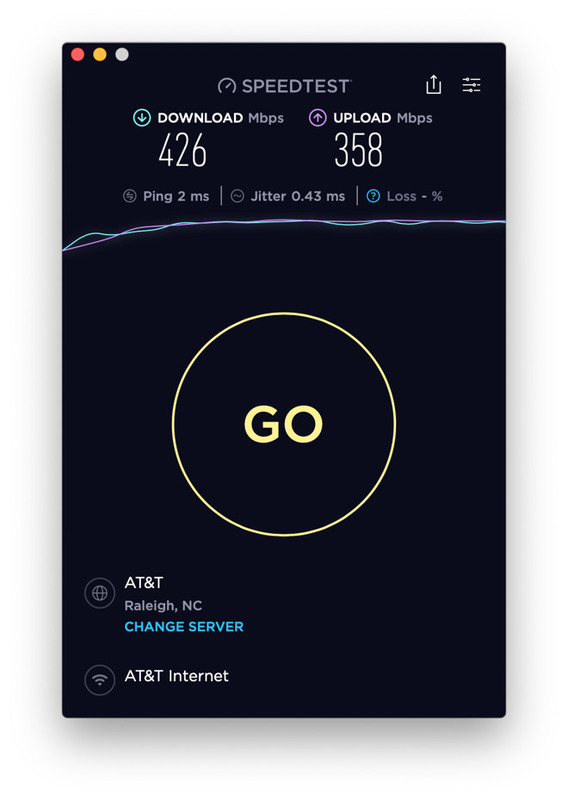 Speeds weren't as fast as our main use router, but it really should fill most people's needs as an easy to set up and easy to manage system. One of the advantages of the Instant system is pricing. By using a monochrome screen, by not building a four port switch and choosing to use either 2.4 or 5Ghz for wireless backhaul, AmpliFi keeps the cost down. The AmpliFi Instant Router will be available starting at $99.99 while the AmpliFi Instant 2-pack (AmpliFi Instant Router + Instant MeshPoint) will be available for $179.99.